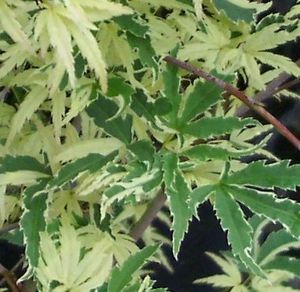 Variegated green leaf with red cream markings around the edges, orange-gold fall color. Grows to 10' in 10 years. Keep moist until well established, then water regularly as needed.